1. What holiday does this cartoon depict? Who celebrates it? 1. 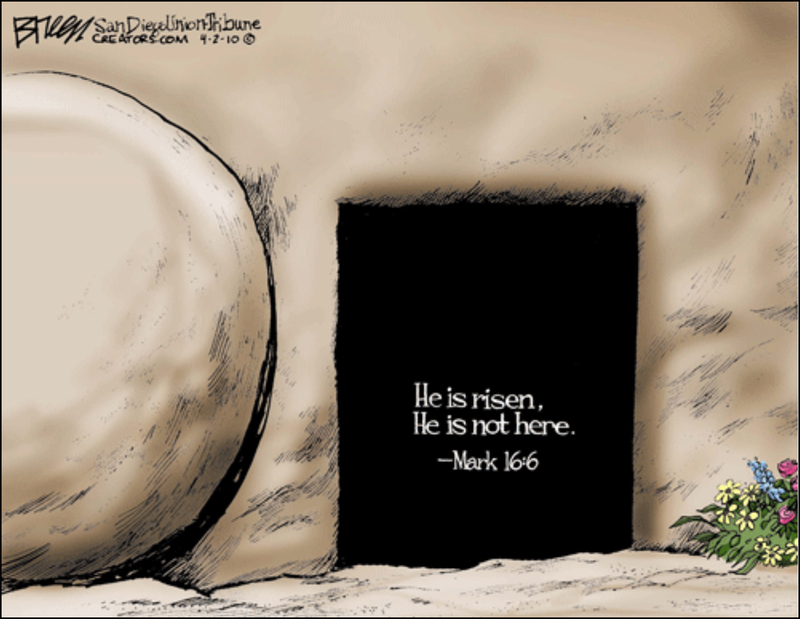 The cartoon depicts Easter, a holiday which commemorates Jesus Christ’s resurrection from the dead and the good news His death and resurrection gives to all people. Easter is celebrated by Christians worldwide. 2. This is a depiction of the tomb where Jesus, the Son of God, was buried after he was crucified. It is empty because three days after He was crucified, He rose from the dead. His purpose in coming to earth as a sinless man was to die for the sins of mankind, so that anyone, by acknowledging who He is and what He did, can then ask God to forgive his/her sins. This cartoon shows the hope that all people can have through Jesus.